I’m doing something fun nearly every day! in the house with my kitty’s. you know, sometimes I just like to roam. With BFF Alys and little ol’ me. A wee catch up poem 😀 Gah! Winter was so dang slow to depart in my neck of the woods. It actually snowed late in April. Thank goodness for a fun spring holiday! My travel mate and BFF, Alys and I traveled to the east coast again this spring and had great visits with a number of friends we’ve made right here on WordPress. Julia of Defeat Despair, Laurie of Life on a Bike, Lisa of Arling Words, Joe of Visual Chronical and his lovely wife Terry and the effervescent Patti F, another awesome photographer and very entertaining gal. All went out of their way to spend time with us and welcome us to their part of the world. WordPress is such a cool place. How else would I have ever met these beautiful, kind, generous people? While it seems like I’ve been absent, I actually manage the posts most days for The Urban Scrapbook. It’s all about art and paper crafts. If you’ve followed here for a bit, you know how much I love working there. So I’m here, there and everywhere. Do you enjoyed Boomdeeadda? You might also have fun on Kelly’s Korner. Pop round and say hi. It’s a bit of silliness mixed in with a little crafting 😀 It’s art news, Boomdee style. I understand the busy job but you some how manage to keep up with various forms of social media AND 3 different blogs AND creating all the lovely things you create. Now sure how you do it! Last night I went to bed at 11:00 and got up at 7:45 ! Holy sleepy head Batman ! hi Boomdee, this is a very sweet post. I am sorry we did not get to meet when you were at Julia’s. You will just have to come back. I am working on getting my craft room organized and loving your ideas on Urban crafter. Thank you for sharing that blog with us. Take care and enjoy being home for a time with the family. Amy!! how lovely for you to visit. How was Hawaii? Did Julia tell you of our late nights? I come to it quite normally and Julia was hyped up on cold medicine, LOL. Honestly, one night I was fading and Julia was like the Everyready Bunny. I think we might have talked about every subject known to mankind. 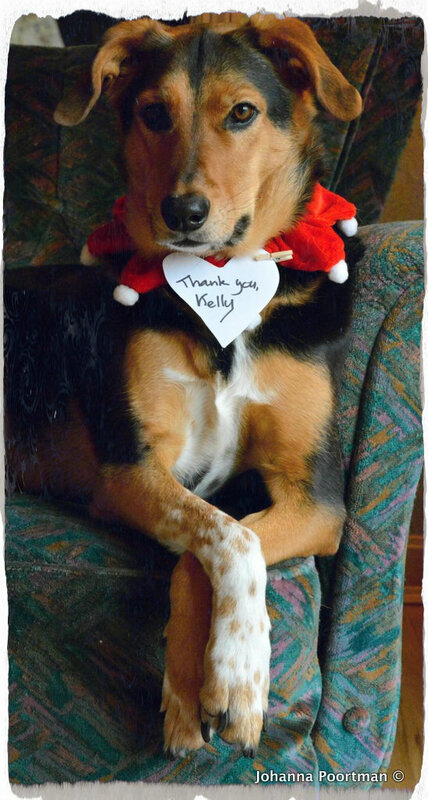 Dear Kelly, yuo have been in NY with your Besties!!! Oh what a city right??? Double fun if you have your friends with you! And than the kitties and your art!! All pretty and gorgeous and colorful and dainty : lovely, lovely!!! And thank you for stopping by and visit Charley. All is very well at our end but also very busy! After 4 year of unemployment I finally have a job at the library again! When we moved to America, it meant the end of working at library in Canada of course. And arriving here…well, being 50+ and having no USA schooling or work experience is not helpful in finding a job when unemployment is high. Glad you had time to give us a small update. What fun to meet all those WordPress buddies! I’m glad you’re having fun. I love the pictures of the pretty things you’ve been making. The cats look like they’re enjoying life as well. Hi Clowie! Thanks so much for your kind message. Our little kitties are so loved and they know it. We have a great love fest every morning that leaves our bed so furry. But it’s worth it. xo Boomdee! There is something about WP-inspired gatherings that makes me *so happy. * I guess it’s that I understand the value and the magic of what we’ve got going on here. It is doubly wonderful when you are able to get on a plane to go visiting! And we are all so spread out, that is sometimes what’s needed. Just think how many flights must occur between WP friends! I should think the airlines would jump on that idea. I am glad to hear you talk (finally!) of winter in the past tense. It was a long, cold, precipitous one. Much much love to you for the remainder of Spring! I love your aqua shoes! aww, you are a dear. Thank you Derrick. Boomdee, so glad you are having fun and enjoying life and friends. Put a smile on my face reading your post and the comments. Thank you so kindly for your message and visit Gallivanta! I wish I could figure out how do to everything I want to do 😀 But it’s fun trying! Have a super marvelous day!! Sounds and looks like you have been having fun – it was nice to hear from you with a catch up post. I think I look taller because the photographer is sitting down. It’s an odd angle for a photo. I like it though. I had on a small heal. I don’t own anything over 2 inches anymore, so perhaps my heals and the angle. I’m used to being the tall one in the pic after so many years. Awww. You are loved, too. The Empire State Bldg. was my least favorite part of the trip. I never in a million years would have dreamed that we would have to stand in so many lines: security, then the ticket line, then the elevator line, then another elevator line, the line to be photographed (ha) and, unbelievably, another line to leave. Good gravy. I loved being up there, but I’m not sure it was worth all that angst. Good job, you, making it through. …and so you did! NOW they tell us. LOL. Other then that, we did well. I loved our little “apartment” and the convenient location, and all the meals and friends we connected with too. The musical Waitress was superb and even seeing a few actors on the street made for a fun day. And that shop filled with sewing trim. Ohmygosh. Now why didn’t I Google before? gah! Oh man! Live and learn, eh? Who knew? I tried to click on Kelly’s Korner and it wouldn’t load. Will try again later. Wonderful to see you here! Hi Cindy! I sure can’t imagine traveling as much as you do. I am not worthy ( hailing you like an Inca Goddess), But this girl’s gotta see the world once in a while, if only to appreciate home more. Thanks so much for trying to follow the link over to the Korner. I just linked there so I guess it was just slow at the time. Thanks for being such a good friend here and I so enjoy your posts too!